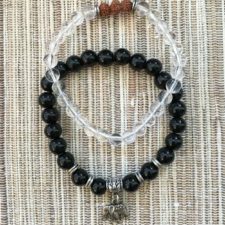 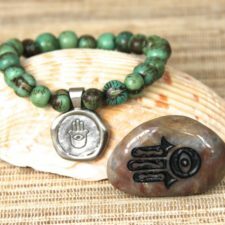 Stretchy bracelet with Breathe symbol accompanied with a Breathe river stone. 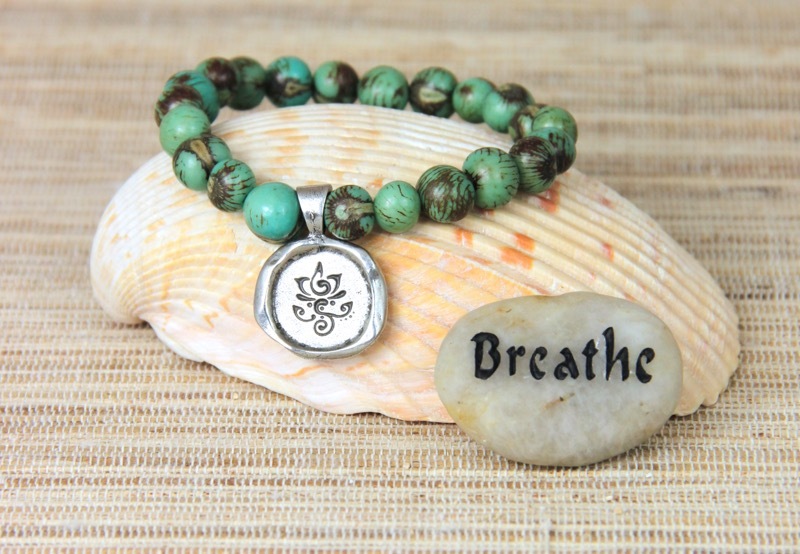 The hanging charm has the word “Breathe” on the back. 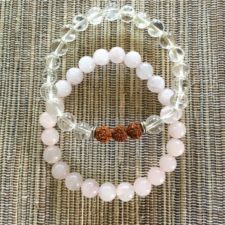 Colors of açaí beads and stone will vary.